Packed with stunning photography, colour illustrations and detailed maps, discover Sydney area by area from boat tours around Sydney Harbour to eating breakfast on Bondi Beach. The guide provides all the insider tips every visitor needs, from exploring the Syndey Opera House to visiting koalas and kangaroos at Taronga Zoo. You'll find 3D cutaways and floorplans of all the must-see sites plus 3D aerial views of Sydney's most interesting districts, including comprehensive listings of hotels, restaurants, nightlife and entertainment in each area for all budgets. DK Eyewitness Sydney explores the culture, history, art and architecture of this beautiful city, not forgetting the best walking tours and great days out. 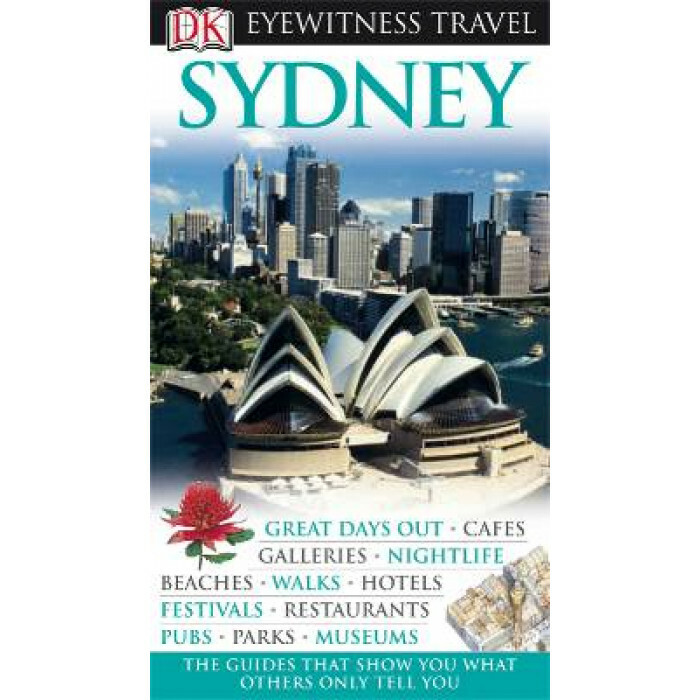 With up-to-date information on getting around by car, train, bus, ferry and on foot plus all the sights, beaches, festivals and pubs listed area by area, DK Eyewitness Sydney is your essential companion.